Theodore “Ted” Allen Ross was born on September 19, 1992 to Earl and Dawn (Kohls) Ross in Waterloo at Allen Hospital. He was raised in Hudson and graduated with the class of 2011. He then went on to attend Hawkeye Tech for welding. After his training, Ted worked in a variety of positions through Express Temp Agency. His latest job was a chef at Huhot, where he got to showcase his cooking skills. Ted enjoyed snowboarding, playing videogames, watching movies, and airsoft guns. He went to various amusement parks; being extremely fond of rollercoasters. Ted’s true passion however was music. He was a self-taught musician: mastering the art of playing the guitar, drums, and keyboard. Ted had an enormous heart, loved spending time with his family and friends, and will be greatly missed by all who knew him. 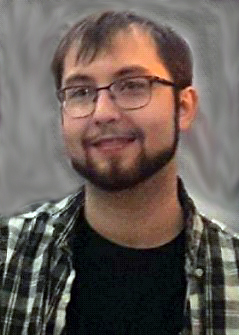 Theodore “Ted” Allen Ross died at his home on Thursday, February 7, 2019 at the age of 26. He is preceded in death by one uncle: John Ross. Those left to cherish Ted’s memory are his parents: Earl and Dawn Ross of Hudson; one sister: Megan (Cole Lauterbach) Ross of Waterloo; his maternal grandparents: Donna and Dennis Kohls of Evansdale; his paternal grandparents: J. Clark and Joan Ross of Waterloo; three uncles: Daniel (Dawn) Kohls of Waterloo, David (Anne) Kohls of Waverly, and Edwin (Nancy) Ross of Waterloo; one aunt: Elizabeth “Beth” (Josh) Dunkel of Center Point; his girlfriend: Markie Stedman of Cedar Falls; and many cousins and friends.